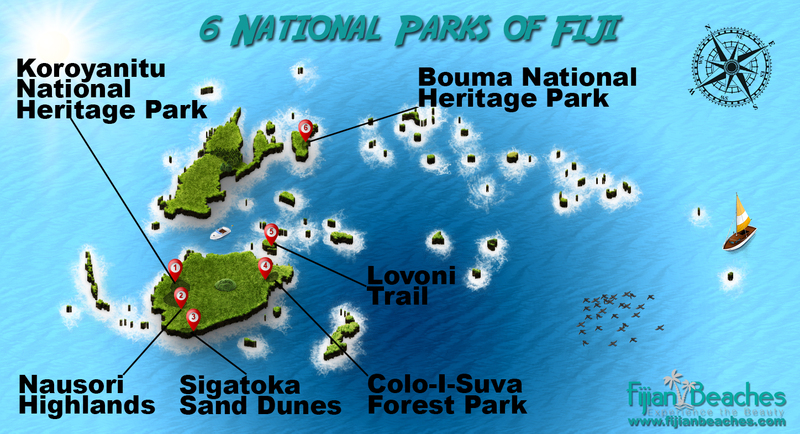 Today, there are 6 national parks that are managed by the National Trust of Fiji. All of these parks offers a variety of outstanding natural beauty and include features, such as hiking trails, natural scenery and abundant exotic wildlife. The best part of this parks, is that it’s not yet filled with tourist so you can still savor the untouched beauty of the National Parks. As a tourist, whenever people think of Fiji holiday packages, they automatically think of sunshine, beaches, sparkling waters and a relaxing, tropical environment. While these features and attributes can certainly be found and experienced in the island nation, exploring at least one of Fiji’s national parks is a fabulous inclusion in your Fiji holiday itinerary. This is a must in all trips to the country! 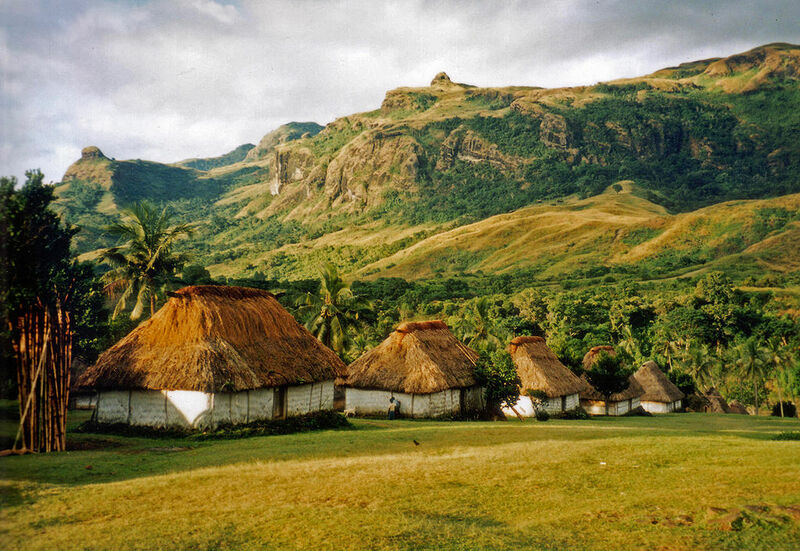 Koroyanitu National Park can be found on Viti Levu (it has nice beach too), in the Nadi area. You have to drive 30 minutes from Nadi Airport to reach here. An amazing national park, it is possible to take a range of different day and overnight walks, and accommodation is also possible at the scenic lodge or by camping. With walks through native dakua (a tree of the Kauri family) forests and grasslands, birdwatching, archaeological sites and waterfalls. Koroyanitu National Park is a fabulous place to visit and, by following the park’s various hiking trails, visitors will pass through charming and fascinating local villages in which the area’s stunning natural scenery is showcased, with a focus on ecotourism. 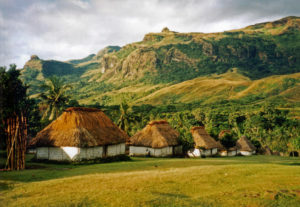 There are six small and largely self-sufficient villages within the park that cooperate as part of a conservation project intended to protect Fiji’s only unlogged tropical montane forest. The villages are fairly remote; with low visitor numbers, track and lodge maintenance has been an issue. The Sigatoka Sand Dunes National Park is located at the mouth of the Sigatoka River on the island of Viti Levu in Fiji. They are located approximately 3 km west of the town of Sigatoka. It is consists of a four-mile expanse of impressive, windswept sand dunes that, as you may expect, are positioned along the coast. The trip to this park’s visitor centre is definitely worthwhile, visitors have the opportunity to learn about the region, its history and ecology. You will also find it fascinating to take some of the different trails that enable you to venture through the sand dunes and even see ancient pottery relics. 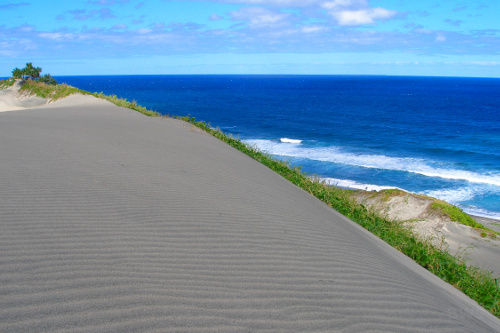 The dunes are the product of erosion in the coastal hinterland and coastal dune forming processes. The extensive dune system covers an area of 650 hectares and comprises a series of parabolic sand dunes. The dunes range from 20–60 m tall. The dunes have been forming over thousands of years. Less than a 20-minute drive from Suva, the Colo-i-Suva Forest Reserve is home to six kilometres of walking trails that journey through stunning natural rainforests. Several small waterfalls are found in this area, as is incredible native plant and bird life and stunning scenic lookouts. In Colo-i-Suva (pronounced tholo-ee-soo -va), mahogany and pines were planted after a period of aggressive logging in the 1940s and ‘50s to stabilize the topsoil without impinging on the indigenous vegetation. There are 14 different bird species, including scarlet robins, spotted fantails, Fiji goshawks, Sulphur-breasted musk parrots, Fiji warblers, and golden doves and barking pigeons. Renowned as the ‘garden island’ for its verdant, green and lush environment. 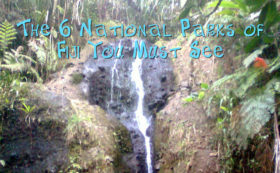 In Taveuni is also home to Bouma National Park in which three excellent day hikes are possible — the Tavoro Waterfalls, Lavena Coastal Walk and Vidawa Rainforest Hike. Inside the park, there are four villages, each running a specific eco-attraction: Waitabu, the first of the villages encountered along the road from Matei, has a protected marine park; 4km further into the park, Vidawa offers a rewarding rainforest hike to ancient ruins in the hills; maintains the spectacular Tavoro Waterfall Trail through three sets of falls; and the last of the four villages, Lavena, 15km to the south and at the end of the road, has a beautiful coastal walk with kayaking and another refreshing waterfall at its end. Also within the park are Lake Tagimaucia and De Voeux peak. A ‘pretty rough’ trail hike through Bouma National Park to Lake Tagimoucia is also possible, this walk provides an opportunity to witness the beautiful sight of the rare Tagimoucia flower in bloom between the months of September and December. Towering over the coastal flats of Nadi are the high peaks of Koromba to the south and Koronayitu in the north, both over 1000m and forming part of the spectacular Nausori Highlands. Nausori Highlands is an inland area impressively characterised by hills, valleys and volcanic peaks. The track leads up past a triangular survey marker to a steep cliff with superb views over the Sabeto River Valley and out over Nadi to the offshore islands. The Nausori Highlands enable incredible views across the Mamanuca Islands and the southern Yasawa Islands. For much of the year, these hills are sunburnt grassland, but in the wet season from December to April, they become lush green valleys. On the island of Ovalau, tropical mountains exist behind Levuka where amazing walking trails, swimming holes and waterfalls can be found.One of the best things about the Lovoni Trail is its convenience; it can be accessed via a short walk from Levuka town, a historic and fascinating town in its own right. These are good for hikers that love challenge and adventure, the day trek to the Lovoni Village in the centre of the island is definitely not to be missed.